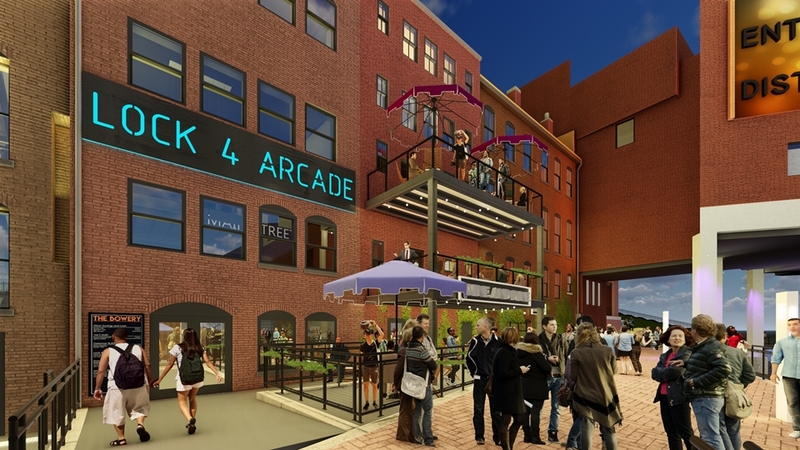 Is downtown Akron, Ohio's long-awaited revitalization finally about to happen? For almost 20 years, I (Storm Cunningham) have been writing about community revitalization, and presenting talks and workshops on the subject in dozens of countries around the world. 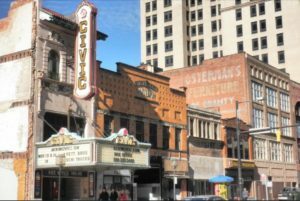 At these events, I’m often asked whether all cities can be revitalized, or whether some are just too far gone. While its true that cities can die, just like people and ecosystems, the norm is for them to rebound from incremental or sudden declines. The question, of course, is WHEN. Timing can be everything. When asked for examples of what I call “revitalization resistant” cities (those that have been trying to revitalize for decades, with little or no progress), Akron, Ohio often comes to mind. No one who is familiar with Akron’s plight in recent decades would be surprised at that. Now, maybe Akron’s time has finally come. The heritage-based downtown revitalization project described in this article might finally be what triggers their long-awaited revival. But as readers of the preview of my upcoming third book, RECONOMICS: The Rise of Resilient Prosperity know, projects can revitalize specific areas of a city, but they have a poor track record when it comes to triggering the turnaround of the entire community. For that, one needs an ongoing, city-wide strategic revitalization process. On November 16, 2018 in Akron, Ohio, the City of Akron, the Development Finance Authority of Summit County, the Bowery Development Group and several community partners announced that they had successfully collaborated to complete financing for The Bowery project. 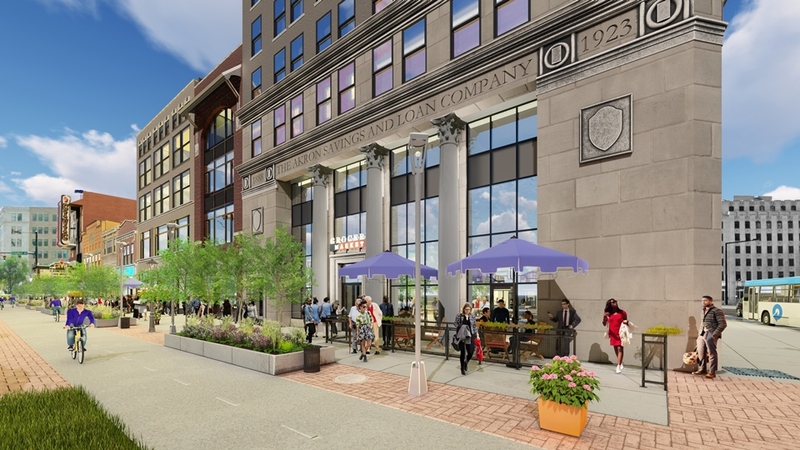 This transformative, $42-million restoration and rehabilitation of six historic, downtown Akron buildings into a mixed-use residential, office and retail complex is expected to have a tremendous revitalizing effect. Groundbreaking took place at 9 am on November 16 in the Akron Savings & Loan Building. Here’s what the area depicted in the rendering at the top of this page looks like today. Construction will begin immediately and is expected to be completed at the end of 2019. The restored buildings will be adapted for modern use but will keep historic details in order to preserve and celebrate downtown Akron’s past. The project will help complete Akron’s South Main Street by solidifying it as one of Akron’s most valuable districts for culture, entertainment and residential use. The project is the result of a public/private partnership and will have a catalytic impact on existing and future public improvement. It will transform a highly visible but long vacant and underutilized area of the city’s urban core. The infusion of new development, residents, jobs and amenities will revitalize and re-energize the South Main Street corridor. 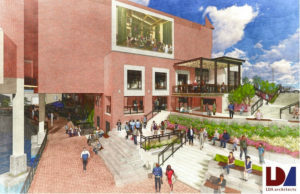 The project is consistent with the city’s vision for a downtown neighborhood, which is shared by regional partners including Summit County, Development Finance Authority, Downtown Akron Partnership and others. Another view of the area as it looks today. “We’re delighted to have the opportunity to help bring this impactful community project to fruition. We look forward to seeing the positive effect this project will have on downtown Akron and the community at large,” said Chris Burnham, president of the Development Finance Authority of Summit County (DFA). The DFA took title of the six buildings at end of 2017 and serves as a gateway for several grants and loans that will be used for different aspects of the project. 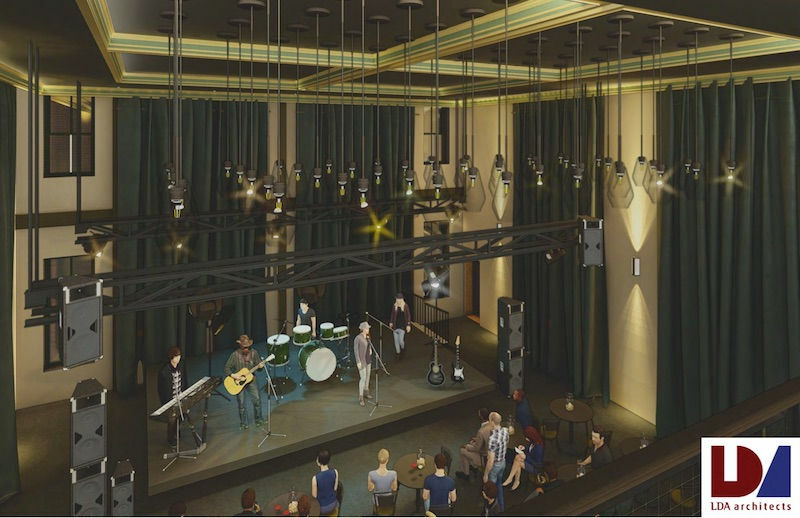 The Akron Civic Theatre is an anchor tenant of The Bowery and with its new 200-seat theater is expected to add one hundred new events each year, bringing additional people to downtown Akron. Recently, the city passed legislation on a 15-year residential tax abatement with the goal of growing the city’s population. The 92 new apartment units included in The Bowery will help meet the demand for additional downtown housing which is currently significantly underserved and provide affordable housing options to many Akron residents. The combination of the new residents attracted to this project and the proposed ground-level retail spaces will dramatically advance the 24-hour vitality and street life of this critical downtown corridor. Substantial new taxes including income, sales, alcohol and commercial activities tax will be generated from operation of the residential, retail, restaurant and office occupants. 150 parking spaces reserved in adjacent city-owned Cascade Parking Garage. Welty Building Company is the construction manager for the project and LDA Architects is the project architect. Other community partners include Novogradac and Company, Roetzel & Andress, Ryan Sommers, and Walter Haverfield, LLP. The Bowery project will be financed through a combination of Owner Equity, Historic Tax Credits, New Markets Tax Credits, Tax Increment Financing, HUD 108 Loan, FHTC Equity, SHTC Equity, NMTC Equity, TIF, Land Bank Grant, Conventional Debt, and owner financing. 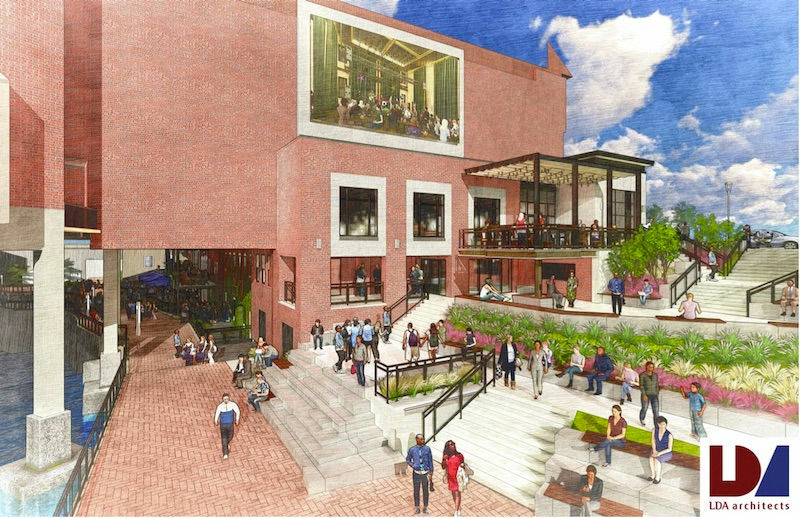 The financing includes $20 million of New Markets Tax Credits (NMTC) allocated from the Cleveland Development Advisors, the National Trust Community Investment Corporation and The Community Builders. Added CDA President Yvette Ittu, “We always look to create the maximum return for the residents and businesses of a community when we invest NMTCs in a project. That means creating quality jobs during and after construction, developing housing and commercial space that help neighborhoods thrive, and providing community services like access to healthy food and recreation space,”. Locally, the Summit County Land Bank has stepped in, awarding a $300,000 matching grant to the City of Akron to assist in financing the proposed redevelopment. This project is critical to the redevelopment efforts taking place in downtown Akron to strengthen our local economy, and the Summit County Land Bank is proud to be a partner in its success,” said Kristen M. Scalise CPA, CFE, Summit County Fiscal Officer and chair of the land bank’s board of directors. 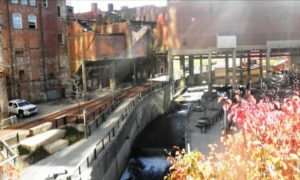 “We have an opportunity to invest in one of the most important economic development projects to take place in downtown Akron in recent history, and the regional economic impact of this project is significant not only to the City of Akron, but to Summit County and Northeast Ohio as well,” concluded Ilene Shapiro, Summit County Executive and vice Chair of the Land Bank’s Board of Directors. Separately, on November 15, 2018, the Akron Civic Theatre announced its plans to transform Akron’s Whitelaw Building (one of the six historic buildings mentioned above) into a vibrant new theatre. 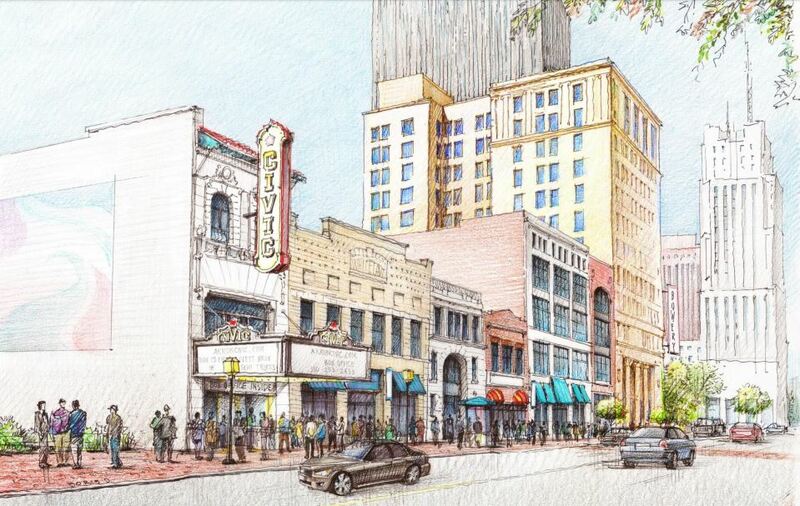 The goal is to help revitalize this key corridor of Akron’s primary downtown entertainment and residential district and introducing new opportunities for Akron residents to meet and connect. 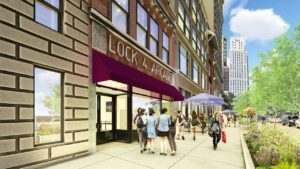 The project is a collaboration with the Bowery Development Group and is supported by $1 million from the GAR Foundation and $4 million from the John S. and James L. Knight Foundation. The support forms part of the Bowery Redevelopment Project, an initiative that seeks to renovate and re-purpose five empty buildings next to the Akron Civic Theatre on South Main Street, as a way to enliven and revitalize downtown. The Bowery Project breaks ground tomorrow. The Akron Civic Theatre has served as a downtown Akron cultural anchor since its opening in 1929; it now draws more than 135,000 people to Akron’s Main Street each year. With new support, one of the six buildings — the Whitelaw building, constructed in 1895 — will be granted new life as a vibrant, 225-capacity performance and flexible-use event space, operated by the Akron Civic Theatre as a complement to its historic 2,592-seat auditorium. 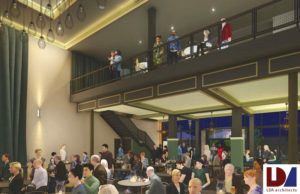 The Civic Theatre’s restoration and expansion project, expected to have a total cost of $8.5 million, will also support the revitalization of the theatre’s Grand Lobby and entry arcade that began in 2002, create a multi-level outdoor deck to connect Main Street to public spaces in Locks 3 & 4, and replace the theater’s box office and administrative office. Back in late 2016, Akron Mayor Dan Horrigan announced the planned renovation by the Bowery Development Group of the historic Landmark Building and the adjacent five vacant structures connecting to Lock 3, now a downtown park that hosts community and cultural activities. These buildings, each vacant for a decade or more, will be transformed into mixed-use residential, office, retail, bar/restaurant and entertainment space. 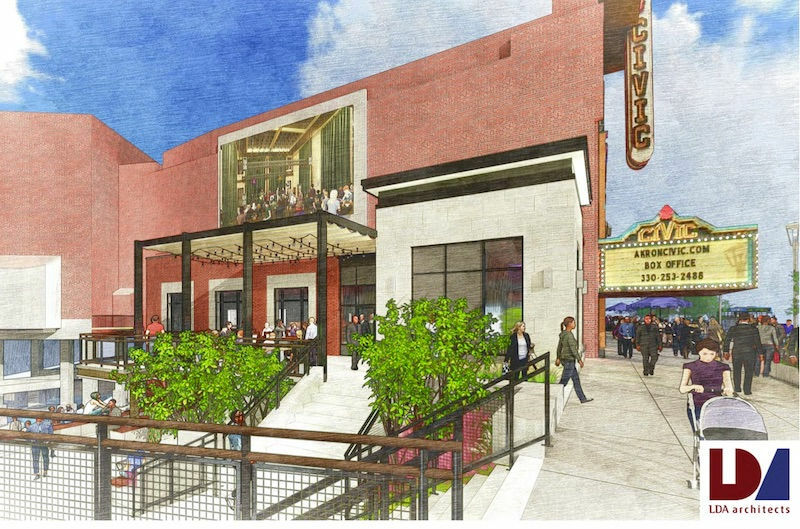 All renderings courtesy of LDA Architecture (thanks, Matt!). All other images courtesy of the Downtown Akron Partnership. 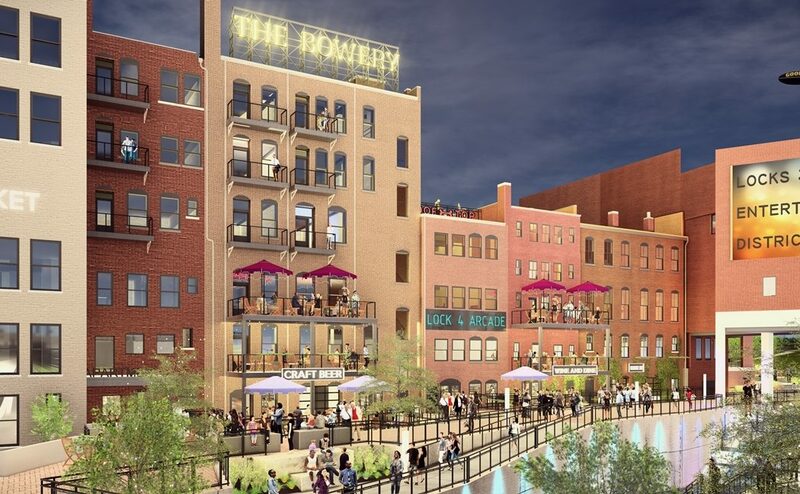 See Akron’s Historic Redevelopment Plan for the Bowery (PDF).